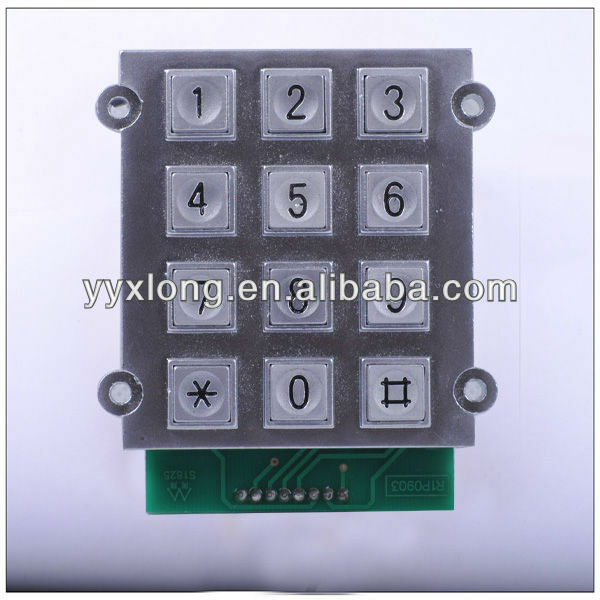 Metal Phone Keypad to usb device? And then connect the wires coming out of the keypad to the analog inputs on the arduino? Try hitting the reply button on the post you want to reply to. It helps keep some organization as the thread grows. Thank you. I get that, and I'm a comp sci major so I can learn programming easily enough. However I don't know where to get started on the hardware side. Need to learn how to use a micro controller and program it in C. You can connect the keypad to a Arduino which can allow you to emulate a numeric keypad or any other USB device. You can even use it as a MIDI device.